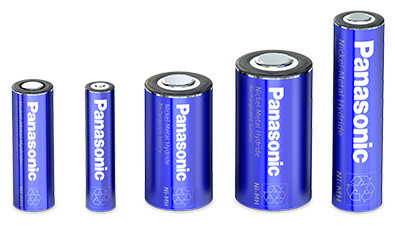 The expected life of these back-up batteries is about 6 to 10 years and therefore approximately twice the life time compared to standard Ni-Mh batteries. In addition they are capable of delivering excellent charge characteristics at high temperature (60°C). Recommended applications are for example emergency light, vending machines and back-up for base station. These state-of-the-art back up batteries deliver excellent current discharge characteristics at high temperature (60°C). They are able to power applications such as back-up for UPS, POS systems and solar window shutter. 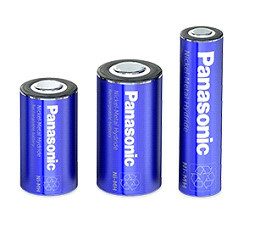 The Panasonic button type batteries are compatible with dry batteries such as Alkaline and can be used up to 1800 times based on JIS standards. Besides they provide a high capacity level and a low self-discharge. Last but not least they can power applications witch require superior low temperature characteristics. Ni-Mh battery technology is nowadays the Ni-Cd (Nickel-Cadmium) successor technology for rechargeable and portable devices. These batteries are ideal for less complex and cost sensitive applications. For example medical equipment and distance meter. These battery type provide excellent current discharge characteristics and are designed for rapid charging. They are most suitable for power tools, robot cleaners and electric vehicles. 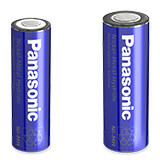 This Panasonic battery type is especially designed for low temperature discharge at -30°C. Thus these batteries are ideal to power two way radios and other outdoor applications. The illustration shows only one example of a Ni-MH battery structure.